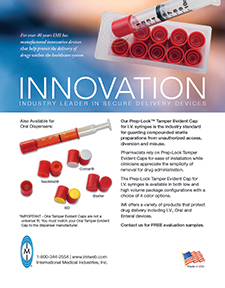 The Prep-Lock product family is engineered to protect Compounded Sterile Preparations (CSP�s) and Oral Preparations. 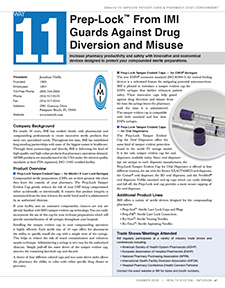 The likelihood of tampering or compromise is at its greatest during transportation when the product leaves the custody of the pharmacist. 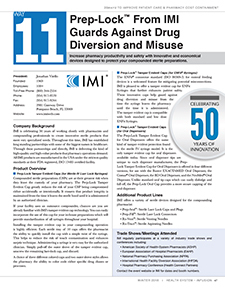 IMI Tamper Evident Caps help maintain product integrity and greatly enhancing USP <797> compliance. Tampering is immediately evident when the outer sleeve is broken or missing. Unused syringes with Tamper Evident Caps intact can be returned to inventory with confidence. 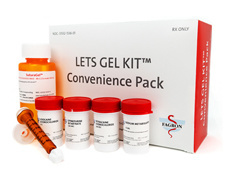 FREE Sterile Samples are available for our entire product line. 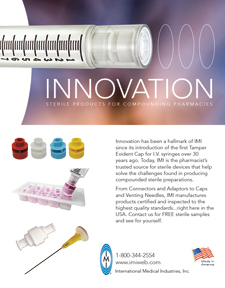 See why IMI has become the brand pharmacists� trust for innovative sterile products. 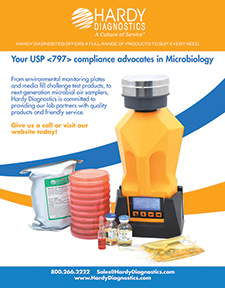 The HCL Compounding and Dispensing line features a diverse selection of products with a special focus on USP 797 & 795 supplies as well as those specially designed for precise medication measuring, mixing and filling. We�re committed to offering products that help you increase productivity, maximize efficiency and improve accuracy in all aspects of your business. To eliminate hand fatigue when packaging liquid compounds, try our Liquid Unit Dose (LUD) Press. It has an aluminum base and rod that easily seals caps onto vials or cups. Choose a heavy-duty Holder for Vials or a Holder for Cups, each of which will hold up to eight items side by side to prevent spills. A raised notch on the LUD Press platform helps guide your holder into position to create a secure seal on every vial or cup, every time. You spend less time on alignment and improve productivity. We create metal products to match your unique specifications so you can work more efficiently and produce better results. 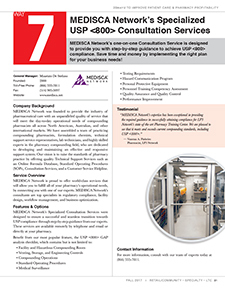 Could your facility benefit from stainless steel storage containers, lock boxes and utility trays to simplify USP <797> compliance? Do you have an existing product you'd like to upgrade with a specially sized metal adaptor such as a bracket, plate, clamp or hanger that is USP <797> friendly? Whatever solution you seek, HCL can deliver. Our designers use stainless steel and aluminum, dependent upon your needs, and our design consultation services are always FREE! The International Journal of Pharmaceutical Compounding (IJPC) is a bi-monthly, scientific and professional journal emphasizing quality pharmaceutical compounding. 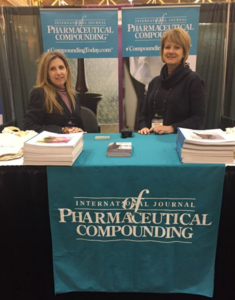 IJPC is the only publication that covers pharmaceutical compounding topics relevant and necessary to empower pharmacists to meet the needs of today's patients. 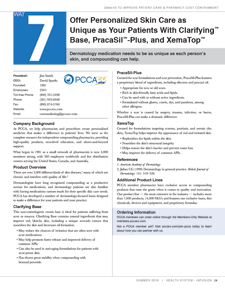 No other publication features hands-on, how-to compounding techniques or the information that contemporary pharmacists need to provide individualized care. 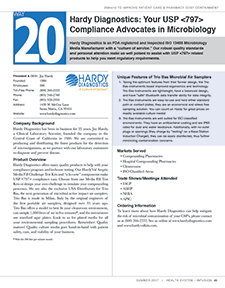 Each issue includes peer-reviewed scientific articles, articles on pertinent topics, informational and professional articles, calculations, and other departments relevant to the practice of compounding. Articles and manuscripts are reviewed by pharmacy practitioners, academicians and scientists, as well as by others with expertise in various specialties. The International Journal of Pharmaceutical Compounding is indexed by the International Pharmaceutical Abstracts,the Cumulative Index to Nursing & Allied Health Literature print index and database, the Chemical Abstracts Service, Elsevier Bibliographic Databases including EMBASE, EMNursing, Compendex, GEOBASE, Mosby Yearbooks and Scopus, the world�s largest abstract and indexing database of scientific and social sciences literature with more than 8 million users at more than 500 institutions worldwide. Manuscripts published in the International Journal of Pharmaceutical Compounding are read and researched worldwide. Please contact us by phone at 800-757-4572 or click on the link below to visit our website. Founded in 1997, B&B Pharmaceuticals is a wholesaler of the highest quality bulk raw materials used in Pharmaceutical Compounding. We specialize in controlled substances, hormones (HRT), sexual health, and other Active Pharmaceuticals Ingredients. 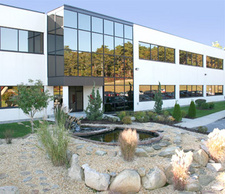 All of our sources are FDA approved, cGMP facilities and most of our APIs are imported directly from the manufacturer. We are licensed with the DEA as an importer, exporter, and manufacturer and are registered with the FDA. All products are repackaged in our state-of-the-art, ISO 6, Class 1000 clean rooms and are sent to an outside laboratory for analytical, purity, and stability testing. Our extensive vendor validation process ensures that all state and federal regulations have been met or exceeded for each of our products. 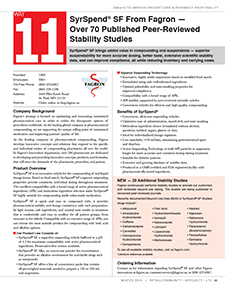 Certificates of Analysis and Safety Data Sheets are available on every product. 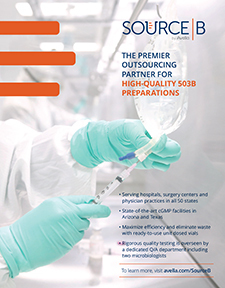 Whether the scope of your compounding be in a traditional 503A pharmacy, a 503B facility, or other setting, we pride ourselves on customizing our services to accommodate your specific business model. 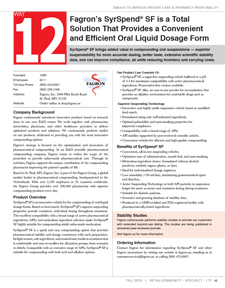 With our prompt, 24-hour turnaround on all stock items, sourcing services available for specialty items, and the support of a global quality team, B&B Pharmaceuticals is committed to and looking forward to earning and maintaining your business. 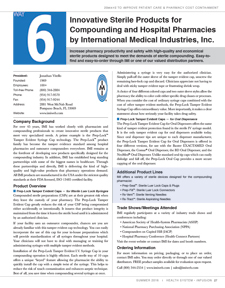 B&B Pharmaceuticals is a VAWD accredited wholesale distribution facility. Contact a sales representative today to see how B&B Pharmaceuticals can enhance your wholesale experience. 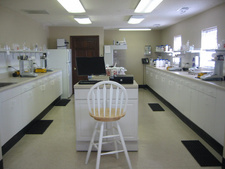 Providing our compounding friends with excellent service and consistent prices. "Making your business success our business"
MedXL has been committed to providing medical devices to pharmaceutical, consumer, and healthcare communities for over 25 years. Blending industry-advanced technology with a team approach to quality, we offer the industry�s most comprehensive advantage, encompassing medical devices. Our continual investment in facilities and technology ensures that our Customers have the best possible products for continued success. MedXL offers an unmatched combination of technologies and services with the dedication and passion to help our Customers succeed. All products are made in Canada at our facility under strict quality and regulatory controls. PraxiFill� is an automated syringe filler intended to increase productivity of the syringe filling process by eliminating the tedious manual task of aspirating solution into the syringe and capping the filled syringe. When commercial prefilled syringes are not available the next best option is unit dose syringes prepared by the pharmacy. PraxiLabel� is a semi-automatic syringe labeler intended to increase productivity of the syringe labeling process by eliminating the tedious manual task of label application on syringes. The labels can be printed on any standard label printer. The PraxiMed� System offers a full range of accessories meeting the pharmacy needs to operate the PraxiFill� and PraxiLabel� at their maximum capacity. 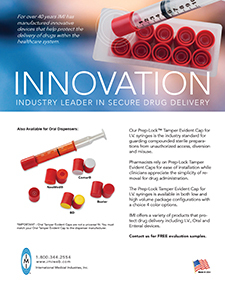 This includes transfer sets that are available in many designs allowing to attach up to 3 compounding bags at a time when filling syringes. 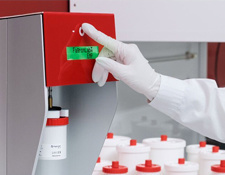 The PraxiMed� System uses MedXL sterile empty pre-capped syringes and pre-graduated labels that may be printed on any heat transfer label printer. At MedXL, we are committed to improving the quality of life of patients all over the world. That simple statement has been the focus of our people and our company since it was first articulated by MedXL founder more than 25 years ago. Our mission, vision, and values define what makes us special, makes us unique, makes us MedXL. 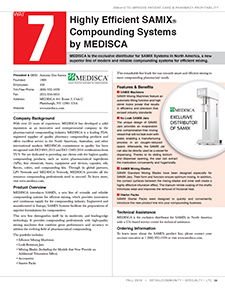 In the year 2000, MEDISCA Inc. began working towards its dream of providing the industry of pharmaceutical care with an unparalleled quality of service that will meet the day-to-day operational needs of compounding pharmacists all over North America. MEDISCA Network Inc. was founded through reason and resoluteness, and today looks forward to serving its clientele with an even broader vision. We are in service to, not only the compounding pharmacy community, but the healthcare community as a whole. Our role is to maintain and improve the integrity, quality and diversity of pharmacological care through the promotion and support of pharmacy compounding. Most of all, we recognize that we are in service to the patient population, for which we are all a part of at one time or another. Our team consists of an array of experts made up of academia and practicing professionals within retail pharmacy, hospital and hospice care. 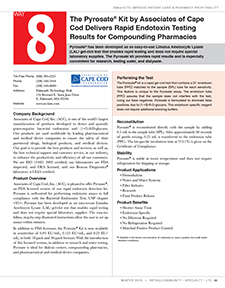 Additionally, our team members are highly successful compounding pharmacists/owners, physicians, lab technicians, formulation chemists and Pharmacy Compounding Accreditation Board (PCAB) surveyors. Together, we encompass a wide range of both theoretical and practical compounding experience to promote excellence and expertise in the field of pharmacy compounding. Our Technical Support Services Department consists of seasoned academics and highly skilled practicing professionals, whose common goal is to create customized formulas to meet patient specific need. Our staff members are equally skilled in both non-sterile and sterile formulations including numerous specialty niche markets. 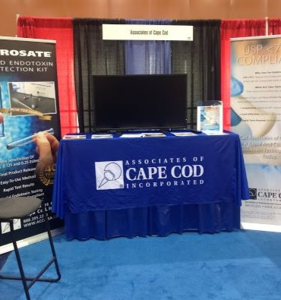 In addition many members of our team are responsible for creating our industry�s current standards of practice and serve as Pharmacy Compounding Accreditation Board (PCAB) surveyors. Compounding inquiries which include; literature searches, mathematical calculations, compounding questions, API, excipient and base specific questions and lastly equipment and facility requirements. We believe in providing you with options � choose from our wide range of courses and training activities. 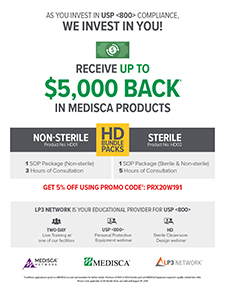 LP3 Network recognizes the need to provide today�s healthcare professionals with a unique experience in continuing education, while maintaining an emphasis on quality and integrity. Since our inception, LP3 Network has pursued a dream of developing a comprehensive portfolio of continuing education programs for the healthcare industry. 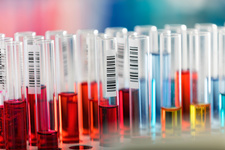 With these goals in tow, the company developed a strong relationship with the University of Florida College of Pharmacy. This well-respected institution is the accreditor for all of LP3 Network�s live training activities. 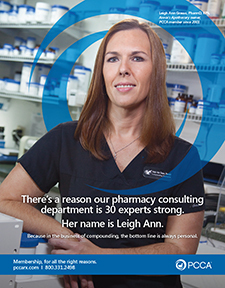 The established relationship with the University of Florida College of Pharmacy allows LP3 Network to offer those seeking further healthcare education with the finest in continuous professional development. All of LP3 Network�s live training activities are accredited by the University of Florida College of Pharmacy and we pride ourselves on the quality of these activities and the competency they bring to all of our clients. 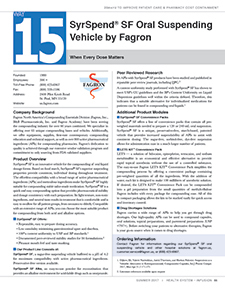 Fagron, Inc., a Fagron global company, is a leading developer and supplier of innovative delivery vehicles (creams, syrups, and lotions), bulk pharmaceutical ingredients, excipients, and high-quality compounding equipment. 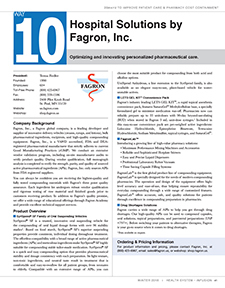 Fagron, Inc., is a VAWD accredited, FDA and DEA-registered pharmaceutical manufacturer that strictly adheres to current Good Manufacturing Practices (cGMP). We conduct an extensive vendor validation program, including on-site manufacturer audits to verify product quality. 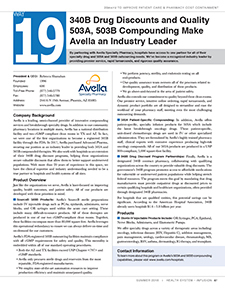 During vendor qualification, full monograph analysis is completed to verify the strength, purity, and quality of sourced active pharmaceutical ingredients (API). 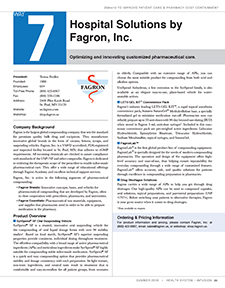 Fagron, Inc. only sources APIs from FDA registered suppliers. 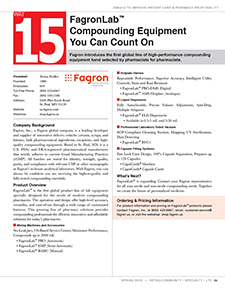 You can always be confident you are receiving the highest quality and fully tested compounding essentials with Fagron's three point quality assurance. Each ingredient lot undergoes robust vendor qualification and rigorous testing of raw material and finished goods prior to customers receiving product. 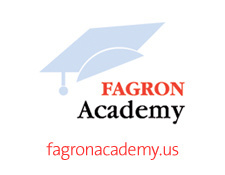 In addition to Fagron's quality promise, we offer a wide range of educational offerings through Fagron Academy and provide excellent technical support services. 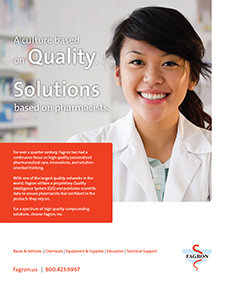 Fagron Academy was created for pharmacy professionals who have a dedication to compounding and a commitment to being the best. 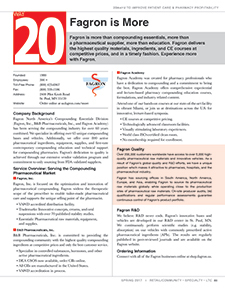 Fagron Academy offers comprehensive experiential and lecture-based pharmacy compounding education courses. Fagron Academy courses provide an opportunity for participants to learn important skills and expand their knowledge base while forming lasting relationships with colleagues and industry leaders. 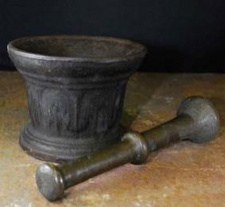 Reflecting all current regulatory and USP guidelines, training courses have been designed to utilize the most up to date and cutting edge compounding techniques while bringing awareness to compounding as it relates to fundamental therapy related topics. TrichoConcept � - Introducing the first global line of multifunctional vehicles with patented TrichoTech � technology, an intelligent phytocomplex, that balances the entire hair system - bulb, scalp and shaft (BSS). This comprehensive line of hair care vehicles was developed with a focus on the BSS, making it more receptive to a wide range of APIs (Active Pharmaceutical Ingredients) and DCIs (Dermaceutical Ingredients). All TrichoConcept� vehicles are formulated with exclusive TrichoTech � technology, are 100% natural, and are free of controversial ingredients and impurities. TrichoTech � concentrates natural molecules and acts on the entire hair system. 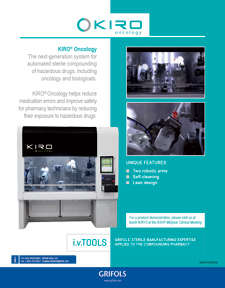 With 7 innovative vehicles, healthcare professionals and compounding pharmacists now have more options to offer patients seeking healthier and stronger hair. Maximum performance mixing machines and accessories. Reliable and sophisticated hotplate stirrers. 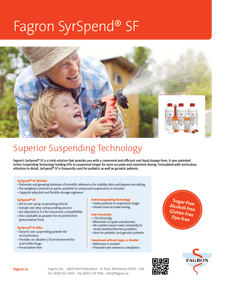 Easy and precise liquid dispensers. Time saving capsule filling systems. 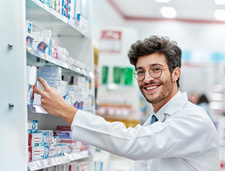 Since 1940, the ACA has been working with independent pharmacists to advance the entrepreneurial spirit of member pharmacists through education, innovation, mentoring, fellowship and training. 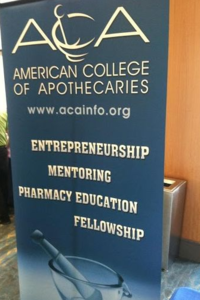 Through educational conferences, seminars, compounding training, webinars and on-demand programs, ACA provides an array of opportunities for pharmacists, technicians, marketers and pharmacy students to obtain information, earn CE credits, and receive valuable networking with independent pharmacy entrepreneurs. 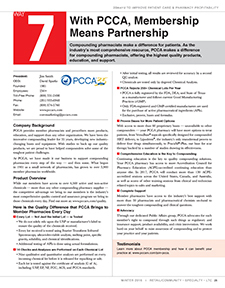 ACA can also provide CE accreditation for other organizations. ACA provides an annual multi-day conference each year with continuing education sessions, social events, induction of new ACA Fellows and members, networking and award presentations. These conferences are held in different areas and in addition to learning, a large focus is on networking and sharing amongst pharmacists, pharmacy technicians, marketers and pharmacy students. As an ACPE-approved provider of continuing pharmacy education, ACA is in compliance with ACPE�s Criteria for Quality and Interpretive Guidelines. Periodic review of educational programming by ACPE and continual self-evaluation by ACA ensures that the programs accredited by ACA are of the highest quality and meet ACPE standards. The ACPE Criteria and Guidelines are always followed when providing any continuing pharmacy education programs in live or in on demand format. The ACA is pleased to introduce ACA Education CEnter an online catalog of more than 70 self-paced seminars for continuing pharmacy education! This new online education resource will include live webinars and on-demand courses that you can participate in from the comfort of your office or home and on your own schedule. 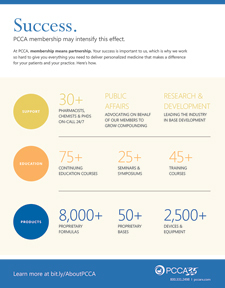 The ACA is the source for pharmacists� continuing education and professional development opportunities. Pharmacist and pharmacy technicians, marketers and pharmacy students can access online the latest webinars on subjects important to your career development. Visit the catalog today to browse through programs and begin enhancing your knowledge and earning CE credit! 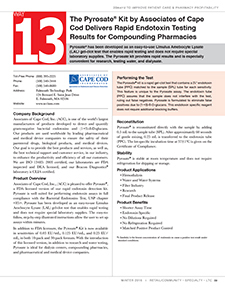 Fundamental Compounding & Calculations is a 3-day, 21 hour application-based course. This course combines one day of essential pharmacy calculations followed by two days of lectures and hands-on laboratory training. 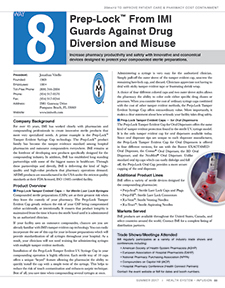 The overall goal of the calculations portion is to provide the pharmacist and technician with a review of the calculations they will need to master in order to prepare the variety of medications their patients may need to attain the greatest therapeutic actions from their medications with the fewest undesirable side effects. The lecture and hands-on portion is to provide the participant with a theoretical and practical basis on which to build a successful non-sterile compounding practice which complies with current requirements for good compounding practice. The instruction focuses on the proper preparation of fundamental dosage forms utilized by pharmacies which are compounding medications for their patients. The program is structured to demonstrate skills that can be immediately implemented by participants with minimal or no experience, as well as those wishing to update their compounding skills. Comprehensive Sterile Compounding is an 18.5 hour course designed to further prepare pharmacists and technicians to strengthen their knowledge base in Sterile Compounding. 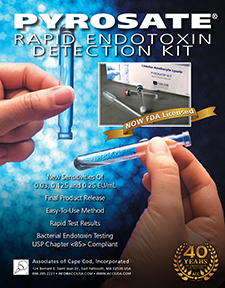 This course will provide the participant with the knowledge of preparation and quality control tests for sterile products, such as validation testing, membrane filtration, pyrogen tests, BET (bacterial endotoxin test) and others. This course will include the USP <797> guidelines. Also covered is proper hand washing and garbing. 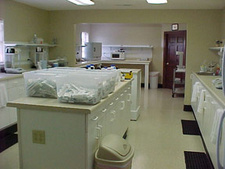 The attendee must pass their Aseptic glove test and their media fill to successfully complete the course. 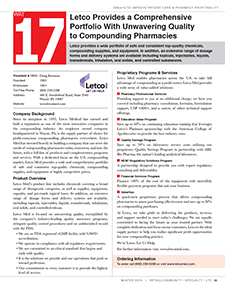 Compounding for Natural Hormone Replacement is a 15 hour application-based course designed to further prepare pharmacists and technicians to strengthen their knowledge base in the treatment of men and women with regard to hormone replacement therapy. Participants will be able to demonstrate a deeper understanding of a number of women�s issues, medications used to treat these issues, clinical guidelines for the treatment of women�s health issues, and side effects of these medications. Compounding Options for Pain, Wound and Scar is a 15hour application-based course. The overall goal of this application based program is to provide the pharmacist and/or technician the ability to learn about pain, its physical and behavioral components, the mechanisms of pain, the treatment of pain both pharmacologic and non-pharmacologic, and how to compound unique dosage forms to meet the needs of the patient in pain. In addition the participant will learn the techniques compatible with USP 795 in the provision of quality pharmaceutical preparations and applicable DEA rules. Practical compounding case studies will be presented including the management of painful conditions, and wound and scar treatments. Additional information on the compounding training courses can be found on the ACA Calendar. 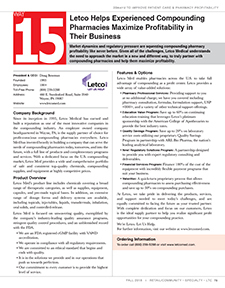 Letco Medical enables pharmacies to take full advantage of compounding as a profit center. 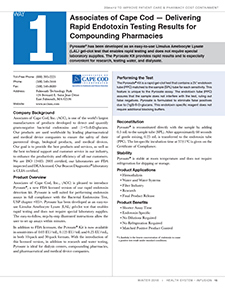 Focused on the U.S. compounding market, Letco provides a comprehensive portfolio of safe and consistent top-quality chemicals, compounding prices. 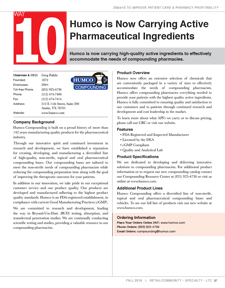 Since its inception in 1993, Letco has earned and built a reputation as one of the most innovative companies in the compounding industry. 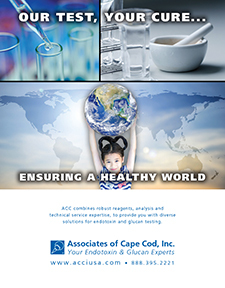 Letco is focused on unwavering quality, exemplified by the company's industry-leading quality assurance programs, stringent quality control procedures, and an unblemished record with the FDA. At Letco, we take pride in delivering the products, services and support needed to meet today�s challenges, and equally committed to facing the future as your trusted partner. 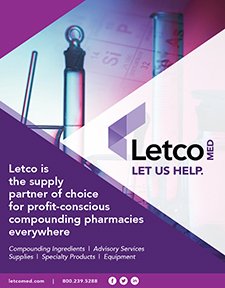 With complete dedication and focus on our customers, Letco is the optimal supply partner to help you realize the significant profit opportunities for your compounding practice. CONTACT US TODAY FOR MORE INFORMATION ON HOW WE CAN HELP YOU AND YOUR PRACTICE. Market dynamics and regulatory pressure are squeezing compounding pharmacy profitability like never before. 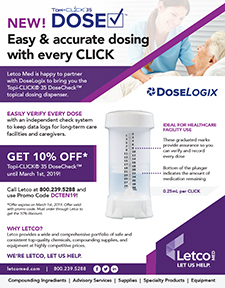 Letco Medical understands the need to approach the market in a new and different way, to truly partner with compounding pharmacies and help them maximize profitability. 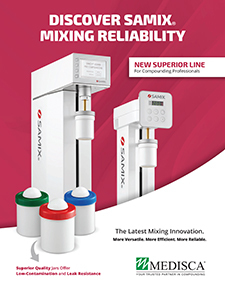 MEDISCA is the exclusive distributor for SAMIX Systems in North America, a new superior line of modern and reliable compounding systems for efficient mixing. 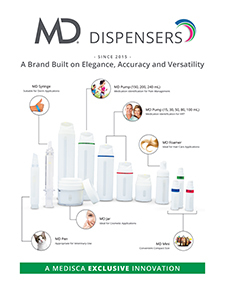 Distinguished by its great versatility, the MD Dispensers line provides improved efficiencies, design differentiation, and functional benefits that ultimately enhance patient experience. Hardy Diagnostics is an FDA registered and inspected ISO 13485 Microbiology Media Manufacturer with a "culture of service." Our robust quality standards and personal attention make us well poised to assist with USP 797 related products to help you meet regulatory requirements. 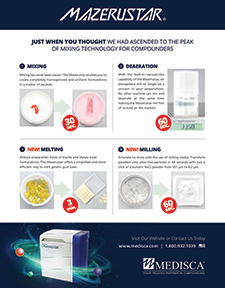 MEDISCA's Mazerustar provides pharmacists with a revolutionary way to compound. This integrated mixer is taking mixing technology to the next level with its multiple capabilities such as mixing, deaerating, melting, and milling. 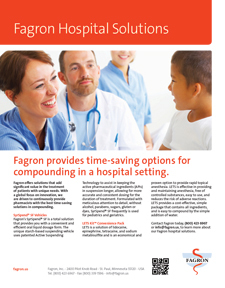 Fagron is more than compounding essentials, more than a pharmaceutical supplier, more than education. 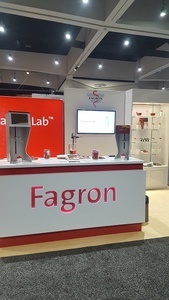 Fagron delivers the highest quality materials, ingredients, and CE courses at competitive prices, and in a timely fashion. 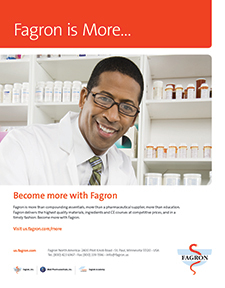 Experience more with Fagron. 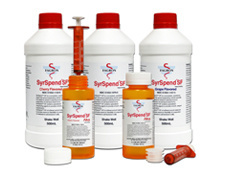 SyrSpend ® SF brings added value in compounding oral suspensions - superior suspendability for more accurate dosing, better taste, extensive scientific stability data, and can improve compliance, all while reducing inventory and carrying costs. 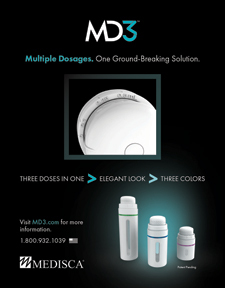 MEDISCA Presents the MD3? Multiple Dosages. One Ground-Breaking Solution. SyrSpend? 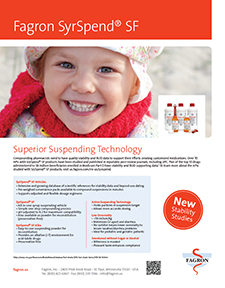 SF brings added value in compounding oral suspensions - superior suspendability for more accurate dosing, better taste, extensive scientific stability data, and can improve compliance, all while reducing inventory and carrying costs. Compounding's new standard of top performance. 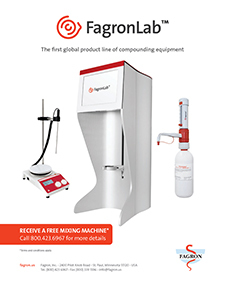 Introducing the new generation of microbiological air samplers. 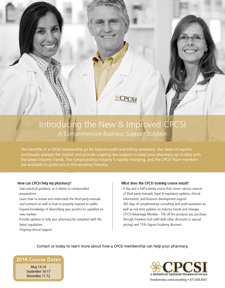 Committed to helping independent pharmacies thrive in today's changing marketplace. HCL's brand new RFID inventory replenishment system. 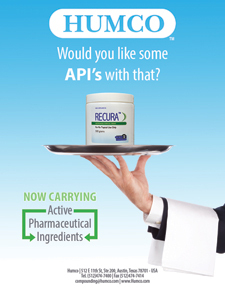 New & Improved RS Software is your source for Pharmacy Software. 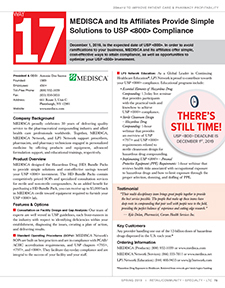 MEDISCA is your turnkey solution for an easier transition. 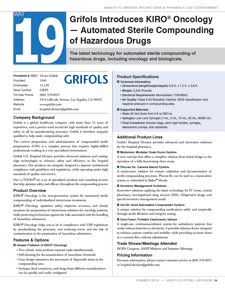 Participate in our hazardous drug compounding training and webinars. 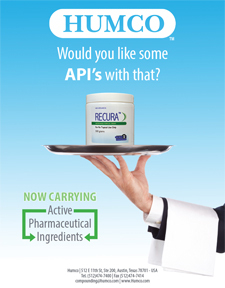 Recura Topical Compounding Cream. Give fungus the boot! Compounders on Capitol Hill (CCH), June 11-14, 2016. Quality Compounding Certification Program. Check, don't guess! 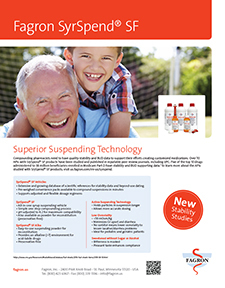 Compliance was never so easy! 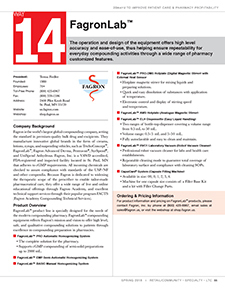 ARL has been serving the pharmaceutical and healthcare industries since 1994. We offer a full range of services and can respond to even the most unusual requests. We use state-of-the-art instrumentation, and provide rapid turnaround time with personal service. 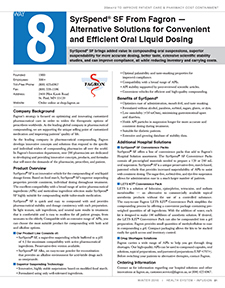 B&B Pharmaceuticals, Inc. has been serving the compounding industry since 1997 and specializes in bulk raw materials used in Pharmaceutical Compounding. 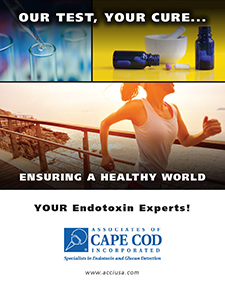 We are experts in Controlled Substances, Natural Hormones and other Active Pharmaceutical Ingredients. 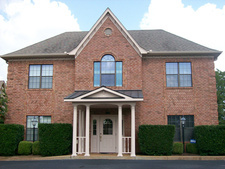 B&B is family owned and operated to give you the absolute best customer service and prices. At Health Care Logistics, superior products are second only to superior service. Customers come back again and again, not only for our extensive inventory, but also for a service they can�t find elsewhere � product scouting. Because your time is valuable, HCL wants to help you make the most of it. If we don�t carry a product on your list we will find it for you at no extra charge. 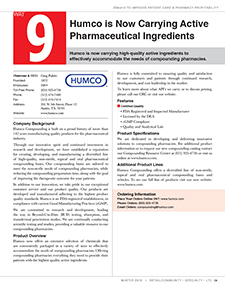 Humco is an Over-the-Counter medicines manufacturer, and private label and contract manufactured products to pharmacists, retailers, and direct-to consumers. 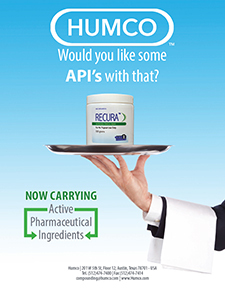 Humco is proud of its long relationship with local pharmacies across America. Our products can be found in almost every community pharmacy across the country, from our wets and dries to a broad range of compounding products. 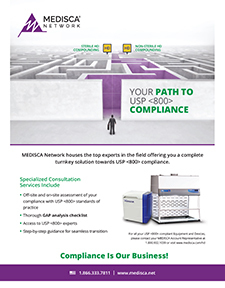 Medisca Inc. is dedicated to meeting the highest customer service standards for clients located across North and South Americas, Australia and Asia. 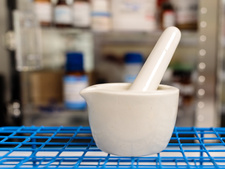 Our services to the Compounding Industry include: Independent Pharmacies, Hospitals, Universities, Hospices Pharmaceutical Colleges, Manufacturers and Wholesalers. We supply the compounding market with over 3,000 products and 6,000 sizes sourced from an extensive database of FDA inspected manufacturers Worldwide. 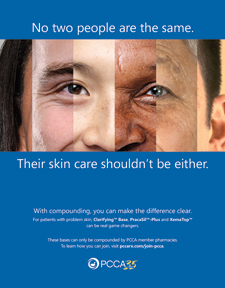 Professional Compounding Centers of America (PCCA) provides independent pharmacists with a complete support system for compounding unique dosage forms. 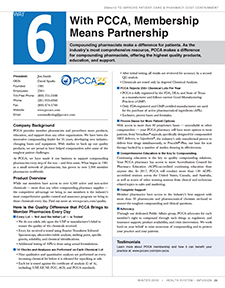 Owned and operated principally by pharmacists -- PCCA provides all of the bulk pharmaceuticals, equipment, devices, flavors, American Council on Pharmaceutical Education (ACPE)-accredited training classes and seminars, marketing support and technical consulting assistance needed to help pharmacists build successful compounding practices. 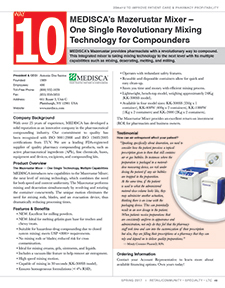 IJPC is the only publication that covers pharmaceutical compounding topics relevant and necessary to empower pharmacists to meet the needs of today's patients.Each issue includes peer-reviewed scientific articles, articles on pertinent topics, informational and professional articles, calculations, and other departments relevant to the practice of compounding. 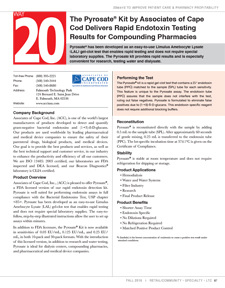 Compound Assist is much more than a �cookbook� of formulas. 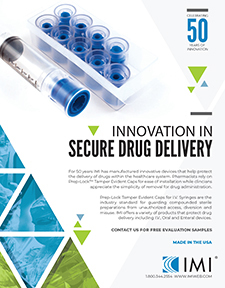 It�s a complete business package, from inventory control and ordering support to a print utility that generates machine-scannable bar codes for compounded medications. Compound Assist even provides counseling sessions, tracking and reporting. 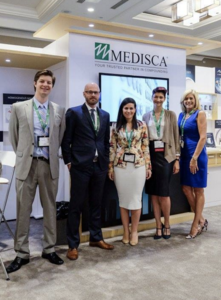 Montreal, Quebec – In an industry where patient safety and meeting regulations are top priority, MEDISCA’s pursuit of quality always takes precedence in order to ensure our customers receive the desired product and services they need and expect. 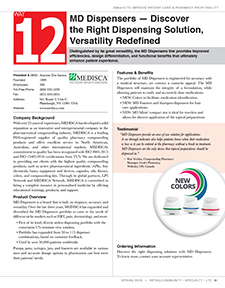 MEDISCA’s vision has always been to lead by example and be considered the most reliable turnkey solutions provider for the compounding pharmacy community worldwide. Our SyrSpend® SF line of convenience packs offer all the benefits of our best-selling suspending vehicle in a unique, preservative-free option. DoseLogix unveils Topi-CLICK 140, a Super-Sized Version of its Popular Original. Freedom Pharmaceuticals, Inc. announced today that they have been acquired by Arseus, the holding company for Fagron, a global leader in pharmaceutical compounding. 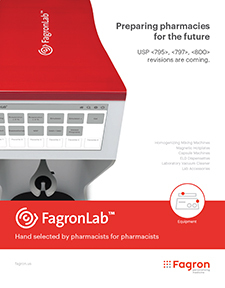 Freedom will immediately become a wholly owned subsidiary of Fagron. 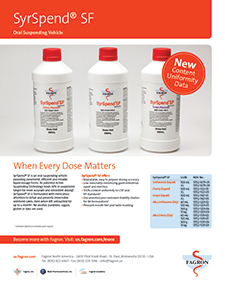 In response to numerous requests, EPS®, INC. is pleased to release 3 sizes of Trigger Spray Bottles. Supplied in 8 oz., 16 oz. and 32 oz. sizes, these bottles are easy to fill and handle. 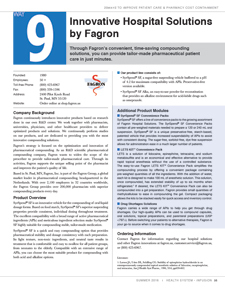 Gallipot, the U.S. leader in creating and supplying compounding products and services, is taking the "art of compounding" to a new level in November, when it will change its name to be consistent with its parent company, Fagron. 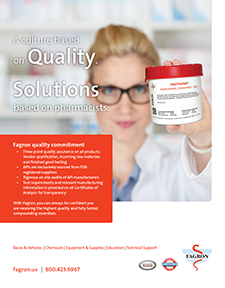 Fagron is the global one-stop shop for products and services for pharmaceutical compounding.